New Line Cinema issued a promotional CD press kit for Freddy vs. Jason, instead of the previously-used glossy photos and production sheet. The CD contents are presented in full below. Production notes are also available in PDF format here. Photo sheets are high resolution and compressed in ZIP files. Get ready for the ultimate showdown! Freddy Krueger (Robert Englund) is in hell—literally. It’s been nearly ten years since Krueger, one of the scariest horror movie characters of all time (from the Nightmare on Elm Street series), invaded peoples’ dreams to exact his deadly form of revenge and murder. But now, his memory has been systematically erased by a town determined to put an end to Freddy once and for all. Potential victims have been drugged to prevent them from dreaming, rendering impotent the master of nightmares. They’ve eliminated their fear of Freddy, absolute torture for an egomaniac psychopath who’s a legend in his own mind. Like an inmate with a life sentence, Freddy’s been reduced to plotting a fantastic revenge that will never happen. Until, that is, Freddy resurrects Jason Voorhees (Ken Kirzinger), the equally iconic madman from the Friday the 13th film series. Jason is the perfect means for Freddy to once again instill fear on Elm Street, creating a window of opportunity for him to emerge from his purgatory. Recognizing how easily manipulated Jason is, Freddy tricks Voorhees into journeying to Springwood to start a new reign of terror. But as the bodies begin to pile up on Elm Street and Freddy’s fearsome reputation assumes new life, he discovers that Jason isn’t willing to cease his murderous ways and step aside so easily. Now, with a terrified town in the middle, the two titans of terror enter into a horrifying showdown of epic proportions, alternating between the world of dreams and the harsh reality of the living world. Who will win and who will lose in this battle to end all battles? 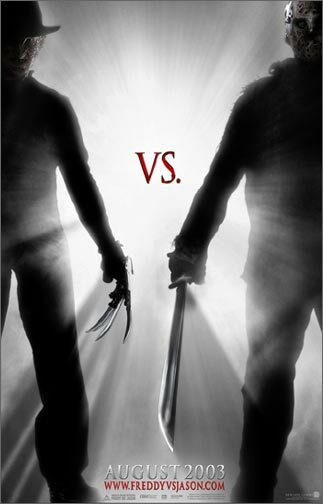 Freddy vs. Jason stars Monica Keena, Kelly Rowland, Jason Ritter, Christopher George Marquette, Lochlyn Munro, Katharine Isabelle, Brendan Fletcher, Zacharias Ward, Ken Kirzinger and Robert Englund as Freddy Krueger. Directed by Ronny Yu, the Hong Kong-based visionary behind the seminal The Bride With White Hair, as well as Bride of Chucky and Formula 51, and produced by Sean S. Cunningham (creator and producer of the legendary Friday the 13th series), Freddy vs. Jason is written by Damian Shannon & Mark Swift (based on characters created by Wes Craven and Victor Miller). The executive producers are Douglas Curtis and Robert Shaye, Stokely Chaffin and Renee Witt. 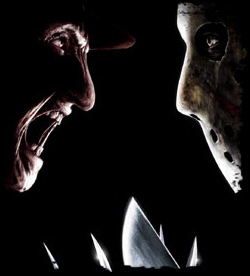 New Line Cinema will release Freddy vs. Jason (rated R by the M.P.A.A. for “pervasive strong horror violence/gore, gruesome images, sexuality, drug use and language”) nationwide on August 15th, 2003. Lori’s first and true love is Will, played by Jason Ritter. Lori believes her late mother died in an accident, but the truth is much more sinister-a truth Will believes he alone knows. Convinced Lori’s mother was murdered, Will has been locked up in a mental institution the last four years to keep him quiet. A troubled young man who still pines after Lori, Will, like the object of his desire, is an unlikely hero. But deeper within is a firm resolve to protect those he loves, making Will a more formidable foe than Freddy first imagines. Ritter manages to bring this necessary balance to his character by portraying Will’s strength and vulnerability with equal finesse. Says Monica Keena of her on-screen love, “Jason has such a great soul, he gives his character so many different facets. Will has this very damaged side from years in a mental institution but he’s also the hero of the movie. Jason has to balance this broken and crazy little boy that you want to take care of with Will’s strength and power.” “Will loves Lori so much in the purest way,” reflects Ritter. “But he pays for it because sometimes he’s so focused on her that he doesn’t pay attention to what else is going on and ends up losing a friend or two because of it.” In fact, it is this myopia that sets the terror in motion. When the latest murder happens on Elm Street, Will escapes from the institution to save Lori from what he believes to be certain death. At his side is fellow inmate Mark, who has also been locked up to keep a lid on Freddy: Mark’s brother was an earlier victim, so Mark has firsthand knowledge of the master’s work. What Will and Mark fail to calculate, however, is that none of the other teenagers know about Freddy-so no one is afraid of him-and in their misguided attempt to save everyone, Will and Mark inadvertently let loose the monster. The murder on Elm Street, carried out by Jason Voorhees, seems at first to be a clear victory for Freddy. The town is in a panic again, the kids are beginning to dream strange dreams and Freddy is becoming more powerful-he feeds on their fears. And the malleable Jason is easily dismissed, or so Freddy figures. But things quickly take a turn for the unexpected when Jason begins feeding his unquenchable thirst for blood, poaching Freddy’s victims right out from under his nose. It soon becomes apparent to Freddy that he’s created his own Frankenstein monster. Angry at the unexpected competition, Freddy begins a futile attempt to manipulate his creation back into submission. Thus begins a battle of wits versus sheer brute force, of the clever Freddy versus the relentless executioner Jason. And no one can stop the carnage. Except, perhaps, the kids caught in the middle. Problem is, Jason inhabits the real world, Freddy the dream world. “Jason is stronger, so Freddy wouldn’t last very long with Jason in reality,” explains Robert Englund. “But Freddy’s a lot smarter, so in the dream world it’s a whole different thing-there’s a lot of mind games and manipulation.” As long as Freddy remains in the dream world he can maintain the upper hand by manipulating Jason’s dreams and emotions. But if Freddy were to find himself up against Jason in the real world, the balance of power would invariably shift. Also added pressure for Rowland was being the novice on set, though she says her work with Destiny’s Child is similar in many ways. “Both singing and acting are performing, so the differences are more mental than anything. Here I have to memorize a lot of lines, which I’m not used to. And I have to act it out, to make it believable. And yet, sometimes when I’m on stage singing a song, I’m also acting, because I want the audience to believe what I’m singing. I think acting is going to enhance my singing, and the singing has helped me bring out my character because I can just turn it into a song. So it’s been different, and yet the same.” And while Rowland as the diva-like Kia might sound like typecasting, Rowland’s co-stars say that nothing could be further from the truth. Jason Ritter, the son of veteran actor John Ritter (Three’s Company, 8 Simple Rules for Dating My Teenage Daughter), says Rowland’s “not spoiled at all. You’d think that she might be, but she’s just totally down-to-earth and so kind. She’s really open and welcoming. And she’s brought all those qualities to her character.” Rowland in turn has nothing but equal praise for her co-stars. Conditions on set were congenial all around and the actors made what they hope will be lasting friendships. But all agree the bulk of the praise must be aimed at the film’s focal point, Robert Englund. Robert Englund (Freddy Krueger) After five years of success in regional theater, Robert Englund returned to the west coast where he had grown up. His very first audition landed him a starring role in the 1973 film Buster and Billie, directed by Daniel Petrie. Far from living the classic hand-to-mouth existence of a struggling actor, Englund worked steadily through the 70s playing best friends, bad guy #1, and southern rednecks opposite Henry Fonda, Susan Sarandon, Jeff Bridges, Sally Field and Arnold Schwarzenegger, among others. In the 70s, which some critics regard as the second golden age of American movies, Englund was privileged to work for such classic film directors as Robert Aldrich, Robert Mulligan, J. Lee Thompson, Bob Rafelson, and John Milius. During this time Englund was living in Malibu, fishing off his porch at high tide and surfing, when not slogging through traffic on the seemingly endless rounds of interviews and call-backs that fill the days of every working actor. He guest starred in scores of TV shows as well as working alongside some of the biggest stars of that decade including Barbra Streisand, Richard Gere, Burt Reynolds and Charles Bronson. Finally audiences could put a name to his familiar face when Englund was cast as Willie the friendly alien in the hit mini-series and subsequent weekly TV show V. Within weeks, Englund went from questions like “Didn’t I go to high school with you?” to “Aren’t you that lizard guy on TV?” Twenty years later Willie still gets fan mail from sci-fi devotees both in America and around the world. The series was a huge success. As a result Englund figured he would be eternally typecast as a sweet and lovable alien. To counter-balance this public image, he looked for a role that would allow him to demonstrate another side of his talents. During one hiatus from filming the series, he auditioned for a hot young director making an interesting low budget horror movie for the independent studio New Line Cinema. Englund’s interview with Wes Craven landed him the role playing the burn-scarred dream demon Freddy Krueger in A Nightmare on Elm Street and launched him into horror history. An international hit, the movie made New Line Cinema a major Hollywood player and prompted seven sequels and a syndicated TV series. The character of Freddy Krueger has appeared on talk shows, comic books, rap videos, and even a cartoon appearance as a guest on The Simpsons. There are numerous Freddy Krueger action figures, dolls, and attendant merchandising. Gottlieb came out with a very popular pinball machine based on the movies. Freddy Krueger blasted into the pop culture vernacular as heir apparent to the horror icons of the past. Englund’s portrayal of Freddy Krueger is destined to stand alongside Bela Lugosi’s Dracula and Boris Karloff’s monster in Frankenstein. In the mid 80s Englund starred in the hour-long network TV series Downtown, a serio-comic look at parolees. The short-lived series also starred Blair Underwood and Mariska Hargitay. Acting on the small screen afforded Englund the opportunity to work with such diverse talent as Lillian Gish, Jack Warden, Sissy Spacek, Martin Balsam, Richard Thomas, James Earl Jones, Bruce Davidson, Lou Gosset, and Lea Thompson. The international success of V and the Nightmare on Elm Street sequels opened the door for film work abroad. Englund has starred in movies shot in such exotic locales as Budapest, St. Petersburg, Tel Aviv, Johannesburg, Madrid, Palermo, Bucharest, and Zagreb. Englund is sought after as a guest at film festivals all over Europe, has served on juries, and has been celebrated with awards at festivals in Paris, Rome, Brussels, and Sitges (Spain), to name a few. After over 60 feature-length films, four TV series, and countless episodic guest star roles, Englund is looking forward to continuing as a busy working actor in this new millennium. Ken Kirzinger (Jason Voorhees) Prior to taking on the role of Jason, Canadian Ken Kirzinger made his mark on Hollywood as a successful stunt man. Born in Saskatchewan and raised in British Columbia, Canada, Kirzinger first became interested in stunt work while still a teen. A few years later, while studying Physical Education at the University of British Columbia in Vancouver, Kirzinger took his first steps toward a career as a stunt man and actor, eventually abandoning his studies for the steady work in film that began with Superman III. Since then Kirzinger has had notable guest-starring roles on such TV series as MacGyver, The X-Files, The Outer Limits, Andromeda and Dark Angel; roles in such films as Ace Ventura: When Nature Calls and Legend of the Falls; stunt work on TV series like Airwolf and Smallville and feature films such as Shoot to Kill, Intersection, and Happy Gilmore. He then graduated to stunt coordination, beginning with Friday the 13th Part VIII: Jason Takes Manhattan, then on to, among others, the X-Files TV series and features Firestorm and Insomnia. Monica Keena (Lori) Monica Keena most recently starred as Rachel Lindquist in the FOX comedy Undeclared, from Freaks and Geeks creator Judd Apatow. Keena’s most recent credits include MGM’s Crime and Punishment in Suburbia starring opposite Ellen Barkin and James DeBello, and the highest rated TBS original movie, First Daughter, starring opposite Mariel Hemingway. Keena was recently seen in the independent film The Simian Line, alongside stars Lynn Redgrave, William Hurt, Eric Stoltz and Cindy Crawford. She also starred in the independent film A Fate Totally Worse Than Death. Keena had a recurring role as Abby, the manipulative teen who wreaked havoc on Capeside on the WB’s hit series Dawson’s Creek. Jason Ritter (Will) Jason Ritter will soon be seen in the new CBS drama Joan of Arcadia, premiering this fall. His feature film credits include Mumford, directed by Lawrence Kasdan, and Swimfan. Among Ritter’s television credits are guest-starring roles on Hack, Law & Order, Law & Order: SVU, and the movie The Dreamer of Oz. His theater credits include the Off-Broadway production of The Beginning of August, starring Mary Steenburgen, and the role of ‘Tim’ in the world premiere of Neil LaBute’s play The Distance from Here at London’s Almeida Theatre. Ritter is a graduate of New York University’s Tisch School of the Arts, where he studied at the Atlantic Theatre Company. He also studied at the Royal Academy of Dramatic Arts in London. He is the son of actors John Ritter and Nancy Morgan, and the grandson of famed film cowboy Tex Ritter. Kelly Rowland (Kia) Kelly Rowland makes her feature film debut in Freddy vs. Jason as “Kia.” As one third of Destiny’s Child, one of the best-selling female musical groups of all time, Kelly Rowland has brought the sound of her voice to millions of fans. She’s graced videos, been featured in magazines, and performed on television and concert stages worldwide. She’s experienced #1 hits, multi-platinum albums, industry accolades, and won Grammys and other awards. Recently Rowland released Simply Deep, her debut solo album, on Music World Music/Columbia Records, and made an appearance on the sitcom The Hughleys. Kelly’s love for music blossomed after her family relocated to Houston where she became friends with Beyoncé Knowles. The two gifted teens started singing together and, in the mid 1990s, formed Destiny’s Child. The group released its first smash single, “No, No, No,” in November 1997, with the first platinum album, Destiny’s Child, following in February 1998. Destiny’s Child’s follow-up effort, 1999’s The Writing’s On the Wall, was certified 8x RIAA platinum in the United States and went on to sell more than 10 million copies worldwide. The success of that album was matched when Destiny’s Child dropped the multi-platinum worldwide smash Survivor in 2001. Katharine Isabelle (Gibb) Katharine Isabelle started acting at the young age of five when she played one of the younger relatives in Cousins, starring Ted Danson and Issabella Rossilini. Since then she has gone onto the title roles of “Paige Fleming” in Turning Paige and, most notably, as “Ginger” in Director John Fawcett’s feminist werewolf fantasy, Ginger Snaps. Other film credits include Christopher Nolan’s feature Insomnia, opposite Al Pacino, Josie and the Pussycats, Snow Day, Spooky House and Disturbing Behavior. A native of Vancouver, Canada, Isabelle has extensive credits in television including guest-starring roles on the series The X-Files, First Wave and Da Vinci’s Inquest, to name a few; the miniseries Titanic; the MOW Voyage of Terror with Lindsay Wagner and Martin Sheen (FOX); and the NBC movie Carrie. Isabelle began production on Ginger Snaps 2 and 3 in January 2003. Brendan Fletcher (Mark) At the age of 13, Brendan Fletcher debuted in the MOW Little Criminals, which earned him a Gemini (the “Canadian Emmy”) nomination for Best Performance by an Actor in a Leading Role in a Dramatic Program. His other film credits include a recurring role on Caitlin’s Way, and guest leads on Dead Man’s Gun, The Crow, Da Vinci’s Inquest and Millennium. Recently he also starred in the Sturla Gunnarsson MOW 100 Days in the Jungle. On Freddy vs. Jason, Fletcher once again finds himself starring opposite Katherine Isabelle, whom he worked with on Turning Paige. Other film credits include The Law of Enclosures, opposite Sarah Polley; The Five Senses; My Father’s Angel; the indie hit Rollercoaster; and the title role in another independent feature, Jimmy Zip. Christopher George Marquette (Linderman) Christopher George Marquette, the eldest of three boys, began modeling at the age of four in Dallas, and worked in commercials and industrial films throughout Texas. At the age of eight, following his family’s move to New York, he made his screen acting debut in the feature film, Sweet Nothings, playing the son of Mira Sorvino. He performed on the Broadway stage as Tiny Tim, in A Christmas Carol and in the drama, An Inspector Calls. Marquette has built a strong television following by playing Tony Danza’s son; being a series regular on ABC’s, Alien in the Family; and guest starring on such shows as Beverly Hills, 90210 and Law Order. He has also made appearances on the American Teachers Awards, Late Night with Conan O’Brien, and Saturday Night Live. Marquette took a crash course in piano playing for his starring role in the feature film, The Tic Code, with Polly Draper and Gregory Hines, in which he portrayed a child jazz piano prodigy who suffers from Tourette’s Syndrome. His work earned him “The Best Child Actor” award in Italy when the film screened at the Giffoni Film Festival. Marquette also does voice-over work on such animated series as, Kids from Room 402, Lloyd in Space, and The Mummy, currently airing on the WB Network. He has guest starred as on E.R. and did two guest-star appearances on two different stories of Touched by an Angel, for CBS. He continues to be a recurring guest star as Marc, the son of Rosa Blasi in Lifetime’s episodic, Strong Medicine. He has also guest starred on FOX’s, Boston Public and FOX went on to cast him as a series regular as Dana Delaney’s son in Pasadena. Marquette no sooner completed this film, when he was cast as “Eli”, one of the leads in NewRegency/20th Century Fox film The Girl Next Door with Emile Hirsch and Elisha Cuthbert, directed by Luke Greenfield. This season, Chris was cast in the NBC pilot, The Ripples, also starring Adam Arkin and Diane Farr as his parents. He will play Ed, their adolescent son, who never ages. This is a story about a family that was irradated 4,000 years ago by a falling meteor, with weird results. Marquette feels he has truly been blessed with numerous opportunities within the entertainment industry. As a result, he has donated time to the Sunshine Foundation, the Cancer Society, and Pediatrics AIDS. Lochlyn Munro (Deputy Stubbs) Lochlyn Munro’s recent features include the megahit Scary Movie, Wes Craven’s Dracula 2000, the Lesley Neilson comedies Camouflage and Kevin of the North, and the independent feature Kill Me Later, starring Selma Blair. Munro will also be seen in the upcoming feature Pressure, directed by Richard Gale and starring Kerr Smith, and in Sidney Furie’s Global Heresy with Alicia Silverstone and Peter O’Toole. A native of British Columbia, Munro’s early plans for a career in hockey were thwarted by a leg injury. While doing improv theatre in Vancouver, Munro was spotted by an agent and subsequently won a role in the 21 Jump Street series. He then became a regular in the long-running Canadian hit series Northwood. Although he appeared in Clint Eastwood’s acclaimed feature Unforgiven, Munro’s Hollywood breakthrough role came with his starring role in Paramount’s Dead Man on Campus. Additional film credits include Night at the Roxbury and Duets. Television credits include regular roles on the series Hawkeye and Two. He has most recently starred in the made for television movie The Investigation, directed by Anne Wheeler and based on the infamous Clifford Olsen serial killer. Munro has also appeared in numerous other telefeatures and specials. Ronny Yu (Director) Ronny Yu was born in Hong Kong. After graduating from Ohio University, he became a production assistant in Washington D.C for the ABC Evening News. He returned to Hong Kong in 1975 and became production manager for Leong Po-Chin’s Jumping Ash (1976) and Foxbat (1977). He produced Yim Ho’s The Extras in 1978 and became a director the following year with The Servant. His credits as Director include The Saviour (1980), The Postman Strikes Back (1982), The Trail (1983), The Occupant (1984), China White (1989), Shogun and His Little Kitchen (1992), Legacy of Rage (1989), which starred the late Brandon Lee, Phantom Lover (1995), Warriors of Virtue (1997), The 51 st State (2001), and Bride of Chucky (1998). Yu has also supervised the productions of Summer Lover (1992), Once Upon a Time, A Hero in China (1992), and All’s Well, Ends Well Too (1993). He was both the producer and director of The Bride with White Hair I & II (1993). The Bride with White Hair I won the following prizes that brought him international fame: “Best Screenplay” in The 30th Golden Horse Award Competition, 1993; “Best Film Song” in The 30th Golden Horse Award Competition, 1993; “Grand Prix” in Gerardmer Fantastica, 1994; “Best Cinematographer” in 13th Hong Kong Film Awards, 1994; “Best Art Director” in 13th Hong Kong Film Awards, 1994; and “Best Costume & Make Up Design” in 13th Hong Kong Film Awards, 1994. Sean S. Cunningham (Producer) Sean S. Cunningham is one of the most successful independent filmmakers in the motion picture business. Winner of Fangoria Magazine’s “Lifetime Achievement” Award , Cunningham’s track record includes many provocative and successful movies including Wes Craven’s cult film The Last House on the Left; the horror classic Friday the 13th; A Stranger Is Watching for MGM; Spring Break and New Kids for Columbia; Deep Star Six for Carolco/Tri Star; House, the highest ever grossing film for New World Pictures, and its sequels, House II: The Second Story and House III: The Horror Show; and Disney’s romantic comedy My Boyfriend’s Back. He also produced Jason Goes to Hell and Jason X. Cunningham studied drama and film at Stanford, and then began his career managing theater companies before switching to film. 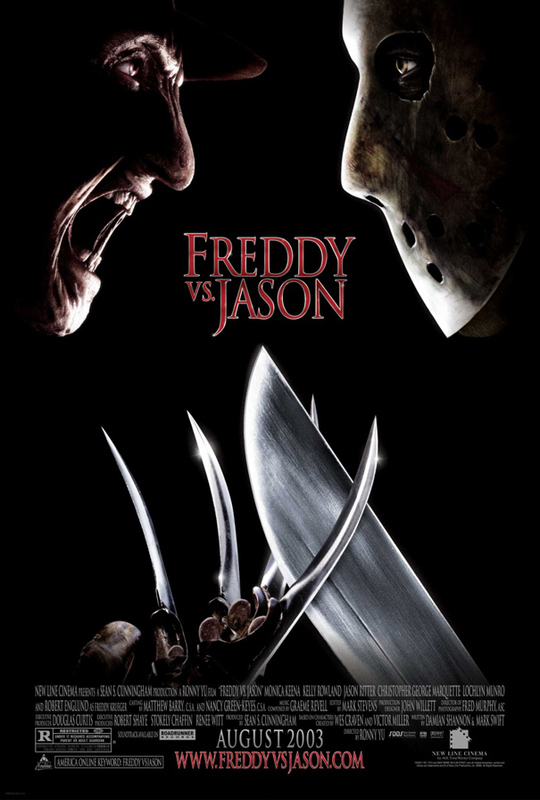 Concurrent to Freddy vs. Jason, Cunningham produced and directed Extreme Close-Up, a thriller set in the world of reality television. Douglas Curtis (Executive Producer) Douglas Curtis has enjoyed a long career producing and developing motion pictures. Curtis most recently Executive Produced Friday After Next his third collaboration with Ice Cube, having served as Co-Producer on The Next Friday and All About the Benjamins. Curtis’ motion picture credits include Co-Producer on Repli-Kate, Save the Last Dance, and Shadow of Doubt, as well as producing The Eighteenth Angel, Gunfighter’s Moon, Judicial Consent, The Philadelphia Experiment, The Philadelphia Experiment II, Black Moon Rising and Nice Girls Don’t Explode. In addition, he directed and produced the motion pictures The Sleeping Car and The Hazing. He is currently in pre-production as Executive Producer on the upcoming New Line Cinema thriller Cellular, starring Kim Basinger and directed by David R. Ellis. Damian Shannon (Screenwriter) Damian Shannon attended both the University of Southern California and New York University studying film production. It was at USC that he met his writing partner, Mark Swift, whom he eventually teamed up with to produce a documentary on the fight or flight instincts of the common ostrich. Two weeks into this production, they decided to turn to fiction and moved to Las Vegas and began writing screenplays. Some of Shannon’s projects in development include Gator Farm, Area 52, and Shark Slayer. He makes his feature screenwriting debut with Freddy vs. Jason. Mark Swift (Screenwriter) Mark Swift hails from South Florida, and attended school at the University of Southern California and Johns Hopkins University in Baltimore. After graduation, Mark worked at a corporate law firm in Washington, D.C., and narrowly missed becoming an attorney before coming to his senses and moving to Los Angeles to pursue a career as a screenwriter. Since then, he and his writing partner, Damian Shannon, have worked on projects for New Line, DreamWorks, Warner Bros., and Universal Studios. He currently resides in Los Angeles with his wife and two children. Fred Murphy, A.S.C. (Director of Photography) Fred Murphy has an impressive list of credits including AutoFocus, The Mothman Prophecies, October Sky, Stir of Echoes, Dance with Me, Metro, Faithful, The Fantastics, Murder in The First, Jack the Bear, Scenes from a Mall, Enemies a Love Story, Fresh Horses, Full Moon in Blue Water, Best Seller, The Dead, Five Corners, Hoosiers, The Trip to Bountiful, Eddie and the Cruisers, and Heartland. Murphy was co-cinematographer with Henri Alekan on The State of Things, which won the Golden Lion at the 1983 Venice Film Festival. Murphy’s feature career began with the release of Girlfriends in 1978. His television work includes Witness Protection, The Final Days, Sessions, The Gardener’s Son and the pilot for Nothing Sacred. Murphy was born and raised in New York City, and attended Columbia University and The Rhode Island School of Design. John Willett (Production Designer) John Willett graduated from the University of Alberta with a degree in stage design and started his career on the Canadian-based SCTV. Other television credits include The Beachcombers and the television movies Rose Hill and That Secret Sunday. Feature credits as Art Director include Road to Wellville, The Firm, Jennifer Eight, Come See the Paradise, Billy Bathgate, Shoot to Kill and Mississippi Burning. In addition, Willett production designed Call of the Wild, Breaking In, Mystery Date, Run, The Amazing Panda Adventure, High Stakes, Bliss, Mr. Magoo and Halloween: H20. Gregory B. Mah (Costume Designer) Gregory B. Mah has been designing for film and television since 1989. His feature credits include the 2003 remake of Willard, North of Pittsburgh, Mr. Rice’s Secret, The Whole Shebang and Ignition. In addition, Mah has designed the following movies-of-the week and mini-series: Surrogate, For Hope, In the Shadow of Evil, Tricks, Fragments, The Accident, One Hot Summer Night, Medusa’s Child, The Baby Dance, The Taking of Pelham, Beauty, A Cooler Climate, Run Away Virus, The Prince of Mirrors, Final Run, Walking Shadow, and Ground Zero, The Inspectors. Television series credits include the critically acclaimed Wiseguy, The Commish, and most recently Pasadena. Ariel Velasco Shaw (Visual Effects Supervisor) Ariel Velasco Shaw has received both an Academy Award Nomination for Visual Effects for A Nightmare before Christmas and an Emmy Award Nomination for Visual Effects for the television mini-series From the Earth to the Moon. Shaw worked with Warner Brothers Imaging Technology as Director of Digital Production on such films as Batman Forever, A Little Princess, Space Jam and Eraser. He continued his work with Warner Brothers as Visual Effects Supervisor on the feature film Contact. Shaw’s numerous other credits as Visual Effects Supervisor include Final Destination, Lethal Weapon 4, Armageddon, Soldier and Scary Movie 2. Shaw served as Producer and Visual Effects Supervisor on New Line Cinema’s Bones. Shaw began his career at Disney as Digital Film Print and Optical Supervisor on such classics as The Lion King, Aladdin, Beauty and the Beast and Rescuers Down Under. Most recently Shaw served as 2nd Unit Director on HBO’s pilot Carnival. Graeme Revell (Composer) Few musicians have followed as unusual a path as New Zealand born Graeme Revell in becoming a most sought-after film music composer. In 1979, while working as an orderly in a mental asylum in Sydney, Australia, he began a music therapy group and formed a rock band with three of his patients, quickly developing a cult following on the Australian music scene. The mixture of rock, electroacoustic and electronic instrumentation began a genre which was later to be known as “Industrial Music.” Revell also recorded the monologues and rantings of the patients and mixed them into the final score. Re-locating to Europe in 1980, Revell combined studies in philosophy in Paris with the debut of his group “SPK” in the UK and throughout Western Europe. By 1984 his work culminated in a major recording contract with Elektra and WEA, but his interests did not reside for long in popular music. By 1985 Revell was traveling the world recording again, this time the sounds of insects on all continents. These he processed and combined using the Fairlight Computer Musical Instrument into a project he called “Micromusic” which created new musical instruments in the digital domain exclusively from insect song. At the same time he continued his interest in the artistic expression of madness by producing another album where he interpreted the pictorial musical scores of Adolf Wolfli. Wolfi was an asylum inmate in Switzerland whose “music” forms part of the famed Prinzhorn “Art Brut” (Outsider Art) collection in Lausanne. Mr. Revell credits Wolfli with the first “pictorial” music open to multiple interpretations, a device used later in the 20th Century by such luminaries as Xenakis. By 1987 Revell had produced a project which was initially titled: “Music for Impossible Films.” He had developed a great interest in film music, inspired by Morricone, John Barry and others, but despaired of ever being invited to write for film. One of the pieces on this record became, two years later, the theme for his first motion picture score: Dead Calm. It’s unique combination of previously unrelated musical elements (by now a Revell trademark) won him the prestigious Australian equivalent of the Oscar for best score 1989. Dead Calm’s combination of solo cello, African drumming, railway yard ambiance (recorded by Revell late one night in London), female duet and the lyrics of the Stabat Mater were a strange enough combination. But Revell also added his own panicked breathing to increase the tension of the psychological thriller. The result was an immediate invitation to come to the USA in 1990. In his own words, Revell “hasn’t had a day off since then.” Some 70 feature films and several mini-series and a hit TV series later, Revell counts the highlights of his career so far the opportunity to have collaborated with such talented filmmakers as Curtis Hanson, John Woo, Robert Rodriquez, Edward Zwick, Wim Wenders, Carl Franklin, Michael Mann, Philip Noyce, David Twohy and Michel Gondry and Ronny Yu. Revell has been a major contributor to the broadening of musical tastes to include much of “world music,” “industrial” music and “electronica” in a modern setting. His facility with orchestral music and his life-long fascination with sound and music of all kinds has led progressive inclusion of any and all sound sources into early 21 st Century music.